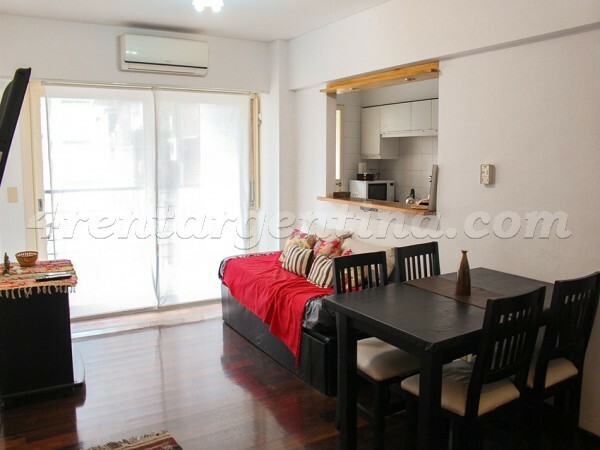 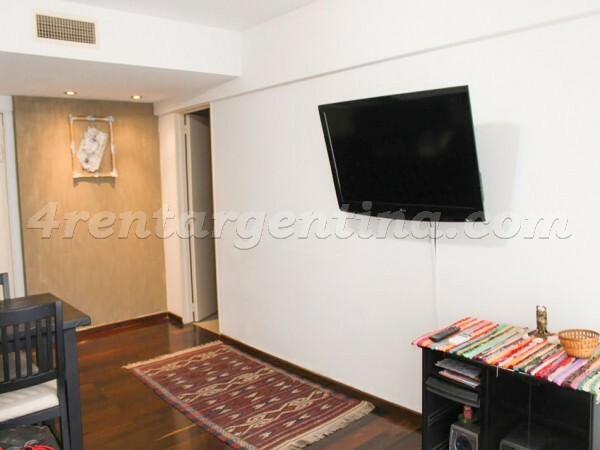 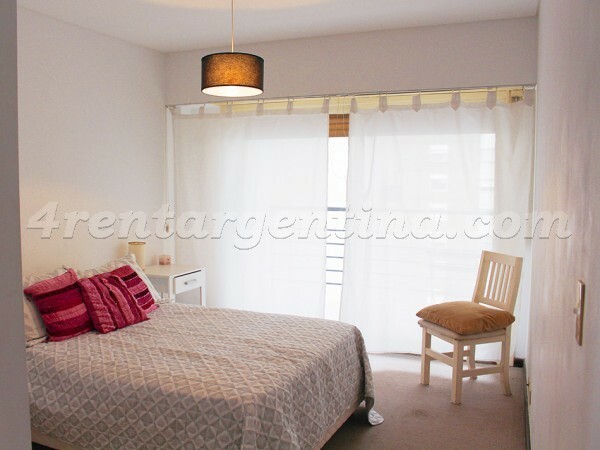 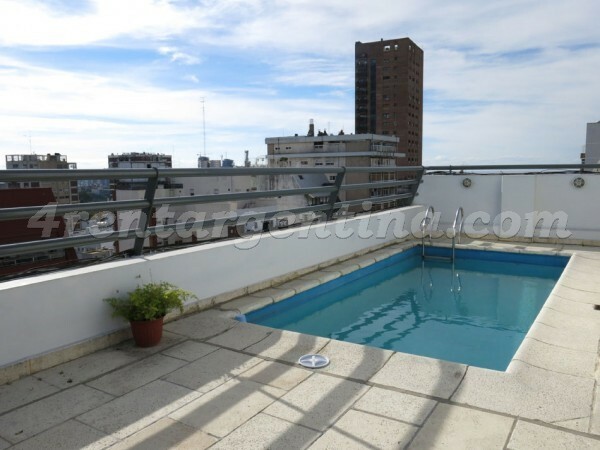 Beautiful furnished apartment for temporary rent in Buenos Aires, located in Las Cañitas neighborhood, very close to the famous Cabildo Avenue and a few meters away from L. M. Campos Avenue, in an area surrounded by several means of transportation, shops, restaurants and bars. 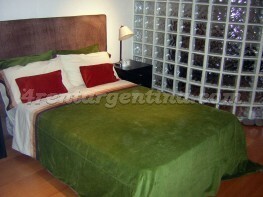 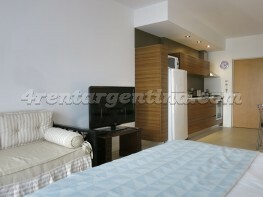 This luminous apartment is ideal for four people and has everything you may need for a perfect stay in Buenos Aires: a bedroom with carpeted floors, double bed, simple bed with trolley, dressing room and an en-suite bathroom, a living-dining room, fully-equipped kitchen, a toilette and a nice balcony. 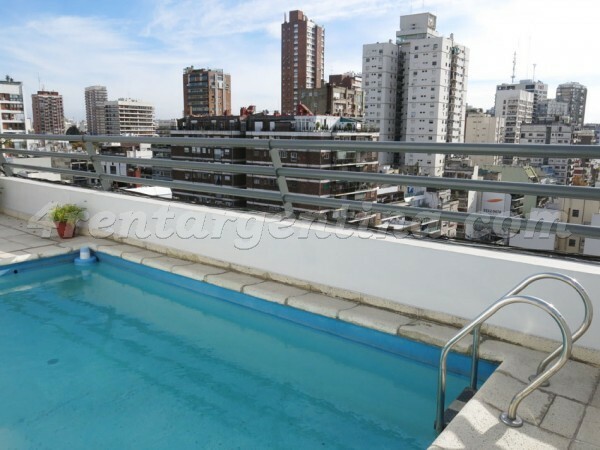 Besides, the building features a swimming pool, a solarium, a sauna, a grill and 24 hours security service. 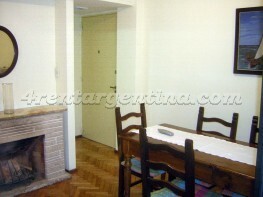 La propietaria es sumamente eficaz e amable !